The Fellowship has obtained a first look at MR. CRYPT #3 from Alterna Comics. The issue, which hits ComiXology February 2nd, is written by Troy Vevasis; with art by Aleksandar Jovic. 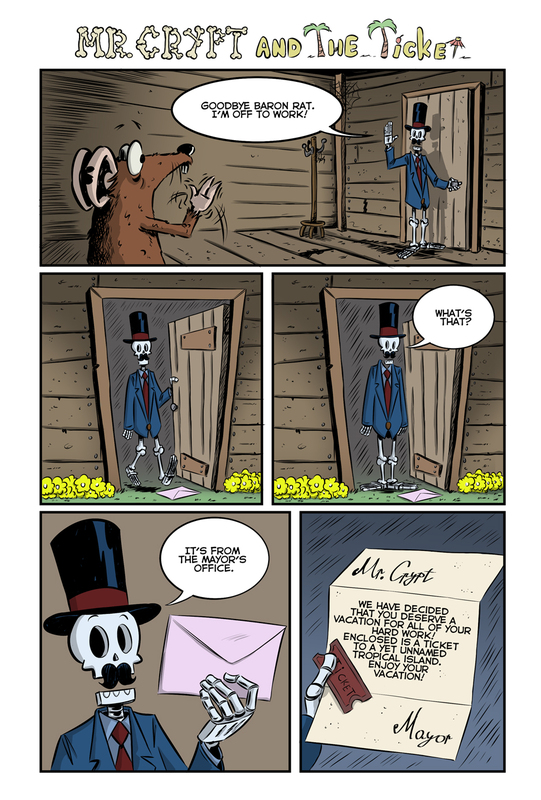 Mr. Crypt and Baron Rat make their triumphant return in the final story of this 3 issue series! 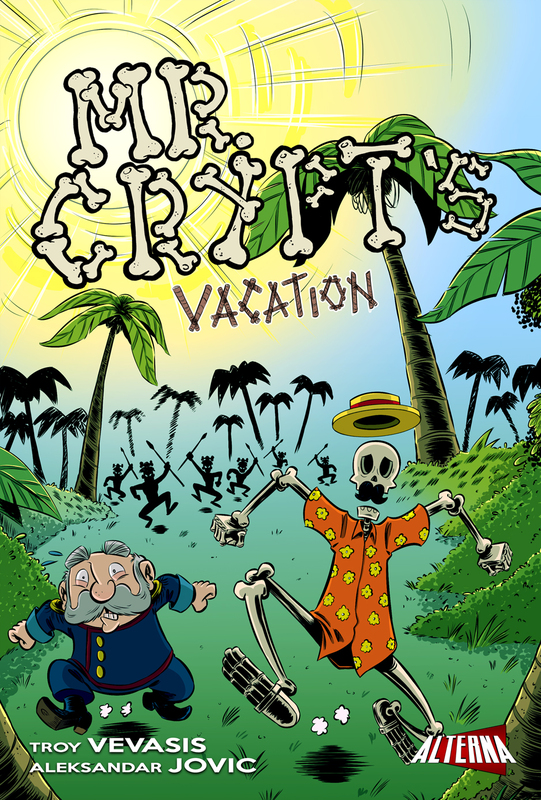 After earning a well-deserved vacation, Mr. Crypt soon discovers that this will be a trip like no other. 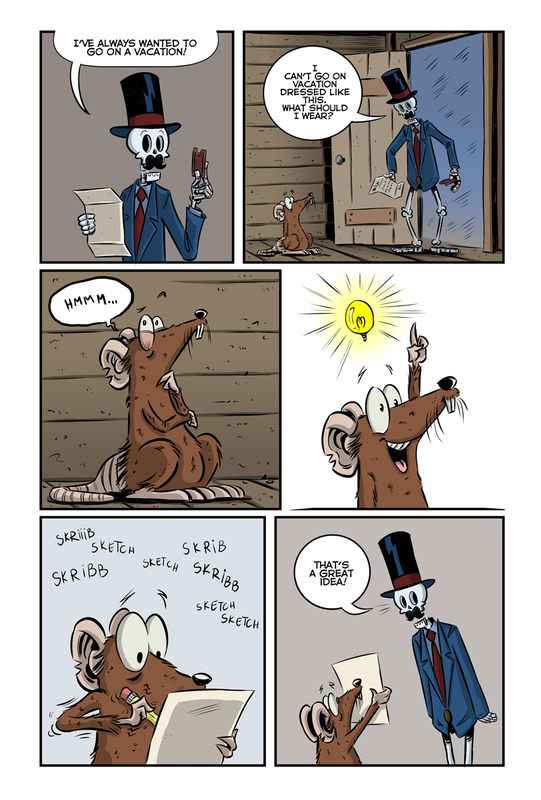 Also: find out what Baron Rat does when Mr. Crypt isn't at home!